On July 10th of 2018, in accordance with the philosophy of the celebrated marvel villain Thanos, half of the r/thanosdidnothingwrong subredditers were banned. Over six hundred thousand users participated in the biggest social event of 2018 including celebrities like the Russo Brothers and Josh Brolin. This probably was the epitome of Marshal Mcluhan’s global village theory. Marshal McLuhan stated that with near instantaneous movement of information thanks to electronic media the globe will contract to the social structure of a village. Across the global village, people reach out and transcend their neighborhoods. They involve in a complex community of networks stretching across cities, nations, oceans, and governments. 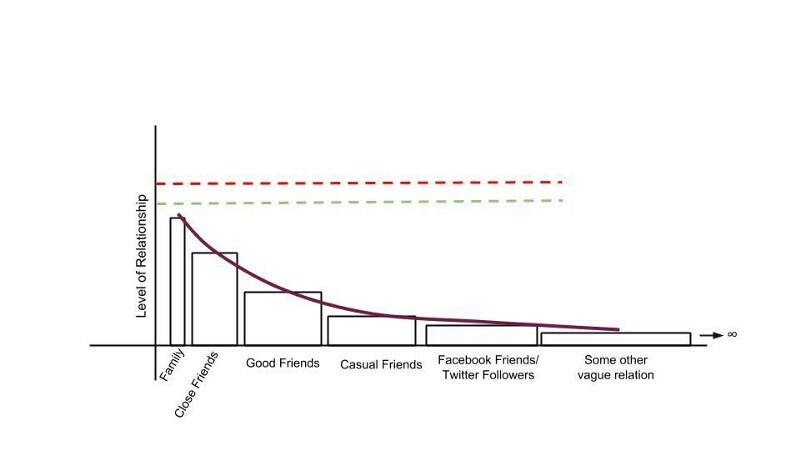 Considering there are more people using Facebook than following Christianity, we can assume we are near global village-hood if not already achieved it. However, being someone who has spent majority of his life in rural India, I don’t really find many similarities in using the internet and wandering around in Malkapur. Marshal Mcluhan is one of two twentieth-century thinkers most referenced in today’s social media discussions. The other one? Robin Dunbar, best known for formulating the Dunbar’s number. Dunbar’s number is cognitive limit to the number of people with whom one can maintain stable social relationships — relationships in which an individual knows who each person is and how each person relates to every other person. 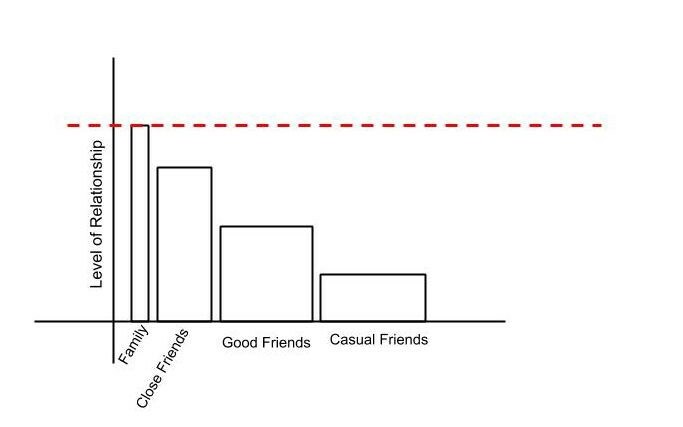 Basically, there is a hard limit to how many friends you can have. Dunbar determined this number to be 148. How Dunbar arrived at this number is itself an interesting read that has more to do with studying monkey brain than human ones. Of course not all relationships are equal. Dunbar theorized a rule of three which selects fifty close friends from the 150. Further, there are fifteen friends who truly sympathize with us and five is the size of our core support group. These numbers start to look strange as we start considering the number of people we interact with online. 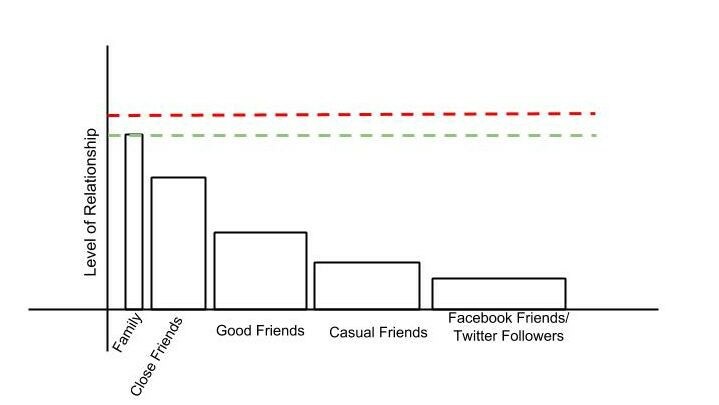 On average someone will have three hundred facebook friends and five hundred Linkedin connections and seven hunderd twitter followers. The Dunbar’s number seems to be dwarfed by these social connection on the internet. The thing is, you have to spend some cognitive ability maintaining those twitter followers and Linkedin connections and it has to come from somewhere else. The more we increase our connection with the peripheral world, less time we can devote to the closer more intimate relationships in our life. And the trend looks to be diverging towards even more connections. We are increasingly more connected with larger audiences. I am personally part of multiple facebook groups with more than a thousand members, and follow subreddits with hundreds of thousands of active users. I don’t really know anyone of these Reddit or Facebook users, but I do spend considerable efforts engaging with these communities. We have achieved global villagehood in a sense that we can organize activities and communities on a global scale. The importance of geographical factors in community building has greatly diminished. But, On a personal scale, as we cast a wider net for connections we might be loosing intimacy of our closer ones. ← Why you shouldn’t post your political views on Facebook.